Will the future be printed in 3-D? At first glance, looking at past predictions about the future of technology, prognosticators got a whole lot wrong. The Web is a garbage dump of inaccurate guesses about the year 2000, 2010 and beyond. Flying cars, robotic maids and jet packs still are nowhere near a reality. Yet the prediction that 3-D printers will become a part of our daily lives is happening much sooner than anyone anticipated. 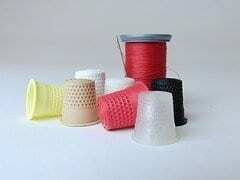 These printers can produce objects, even rather intricate ones, by printing thin layer after layer of plastic, metal, ceramics or other materials. And the products they make can be highly customized. Last week,President Obamacited this nascent technology during his State of the Union address — as if everyone already knew what the technology was. He expressed hope that it was a way to rejuvenate American manufacturing. “A once-shuttered warehouse is now a state-of-the art lab where new workers are mastering the 3-D printing that has the potential to revolutionize the way we make almost everything,” Mr. Obama said. He has pushed new technologies before, like solar and wind power, as remedies for our nation’s problems, and those attempts have only revived the debate about the limitations of government industrial policy. But this one shows more promise. The question is, can the United States get a foothold in manufacturing one 3-D printer at a time?